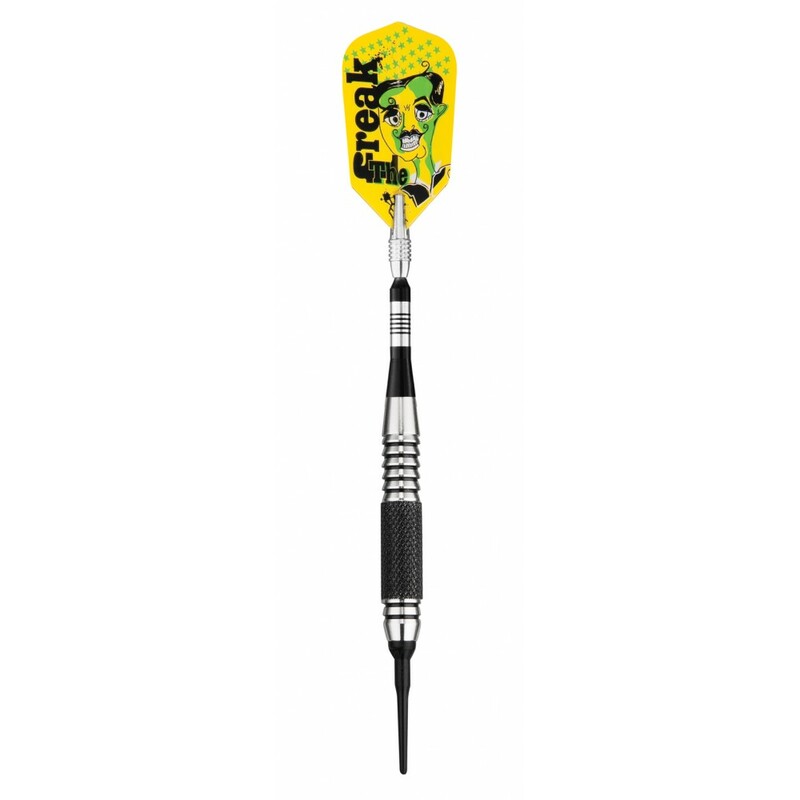 Catch everyone's eye with this unique dart “The Freak" features aluminum Spinster shafts that rotate to help incoming darts find their target, allowing for tighter groupings and decreased deflection. The ergonomically designed barrels with medium knurling provide a comfortable easy grip. The colorful “Freak" dart is sure to add a new element of excitement to your game! Ships UPS.